Get out of town with these interesting Sydney side-trips: Katoomba (The Three Sisters & Wentworth Falls), Norman Lindsay Gallery & Museum (in Faulconbridge) and Trees Adventure Grose River Park (in Richmond). 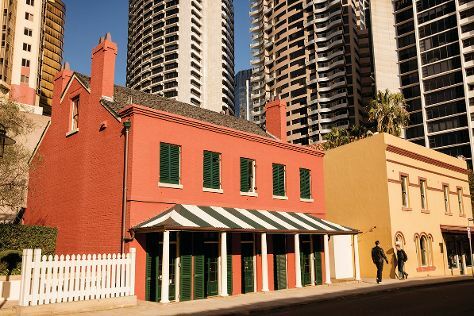 There's lots more to do: get to know the fascinating history of The Rocks, see the interesting displays at Australian National Maritime Museum, take a stroll through Darling Harbour, and tour the pleasant surroundings at Manly Beach. To find other places to visit, maps, traveler tips, and other tourist information, refer to the Sydney trip builder app . If you are flying in from Malaysia, the closest major airport is Sydney Kingsford Smith International Airport. In May, daytime highs in Sydney are 24°C, while nighttime lows are 14°C. Cap off your sightseeing on the 1st (Sat) early enough to travel back home.